Keep it simple with the Wilson Match III 3 racket bag providing just enough space to bring all the essentials to the court. This stylish and lightweight bag will help you stay organized and ready to dominate your opponent. 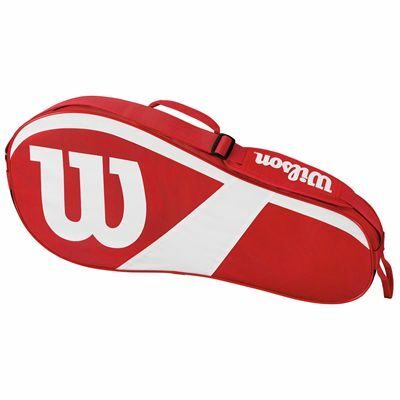 It features one main compartment for up to 3 rackets and other gear and offers a side zipped pocket for valuables and accessories. Transportation is easy and comfortable thanks to a carry handle on the top and a padded, adjustable shoulder strap. 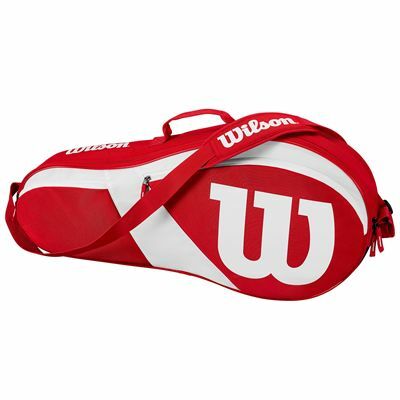 for submitting product review about Wilson Match III 3 Racket Bag.